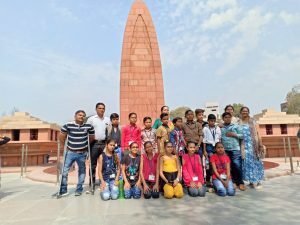 The main objective was to arrange Air travel for the village students and to visit Atari (Wagha) Border, Golden Temple and Jaliawala Baag. 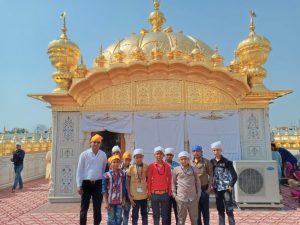 Students visited spiritual place of Sikhism and had experience of Langar. At the border of India and Pakistan students could see the retreat ceremony between two countries. The children were very enthusiastic to see the performance of Border Safety Force. Students could get detailed information on massacre at Jaliawala Baag by British Colonel General Dyer in 1919. They could see the signs at garden, martyrs well and flame of liberty. 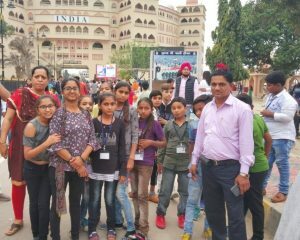 They also visited Govindgadh Fort and enjoyed delicious food of Panjab.